My massive interior paint job, now mercifully completed, has kept me from blogging, but I’m back. In the midst of the upheaval, I managed to get out to some screenings–three in as many nights. 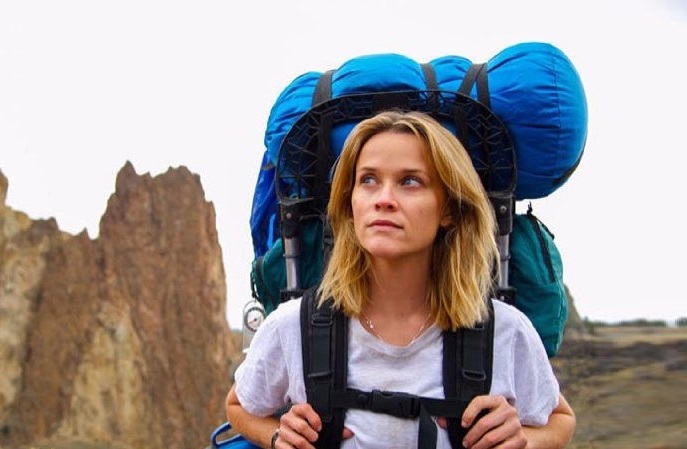 One of them was “Wild,” the much-anticipated adaptation of Cheryl Strayed’s memoir of hiking the Pacific Crest Trail. I was aware of Strayed’s colorful back story, but expected, not unreasonably, that the story of a woman’s solitary three-month hike through the wilderness would depict a) solitude and b) wilderness. Unfortunately, I was wrong. I realized almost immediately that screenwriter Nick Hornby (yes, that Nick Hornby) and director Jean-Marc Vallee had zero interest in depicting either solitude or landscapes, preferring copious chatter (via voiceover during the hike and during the many, many flashbacks) and closeups. Not only are almost no long shots in “Wild,” but none are held long enough to be classified as establishing shots. Instead, we get endless close-ups of Reese’s worried/exasperated/exhausted face, and medium shots of her trudging along the trail. I kept wanting the DP, Yves Belanger, to pull back and show reality–a lone woman hiking through an enormous landscape–but he never did, creating what is surely the most claustrophobic and unnatural film ever made about trekking. Cluttered, chatty and overwrought, “Wild” isn’t worthy of its name. It’s also long and boring, like the hike–but without the vistas. Another film that should have been a model for “Wild” is the Cohen Brother’s “No Country for Old Men.” DP Roger Deakins begins with a series of long shots, each held for 5-6 seconds, that tell us everything we need to know about the setting (Marfa, Texas). These establishing shots, each beautifully composed, take up an astonishing 1 minute, 22 seconds, but there isn’t a wasted nanosecond. 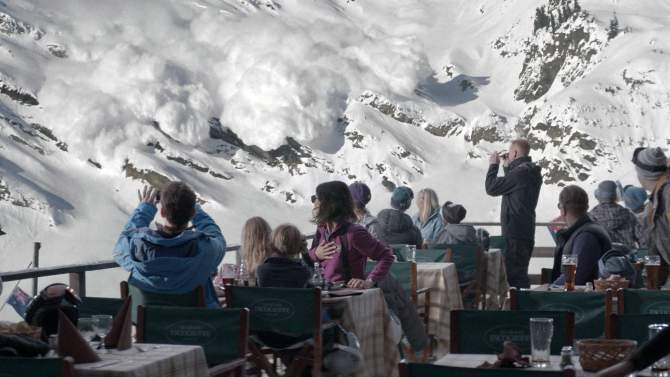 As it happens, there’s a new film that takes place in a mountain setting that is everything “Wild” is not: gorgeously photographed in often difficult settings, beautifully written and acted, and endlessly compelling. I’ll be writing about it in my next post. 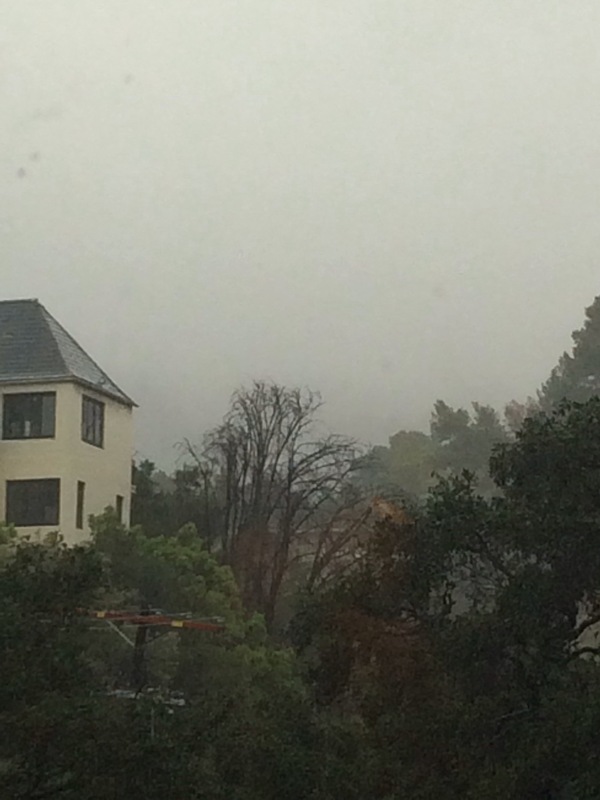 Los Angeles has been blessed with rain–the first big storm in two years. It started on Monday, picking up force yesterday and weakening today. Through it all I’ve been working in the most distracting room in my house–the one with this view. (My usual workspace, the living room, is off-limits because it’s being repainted.) 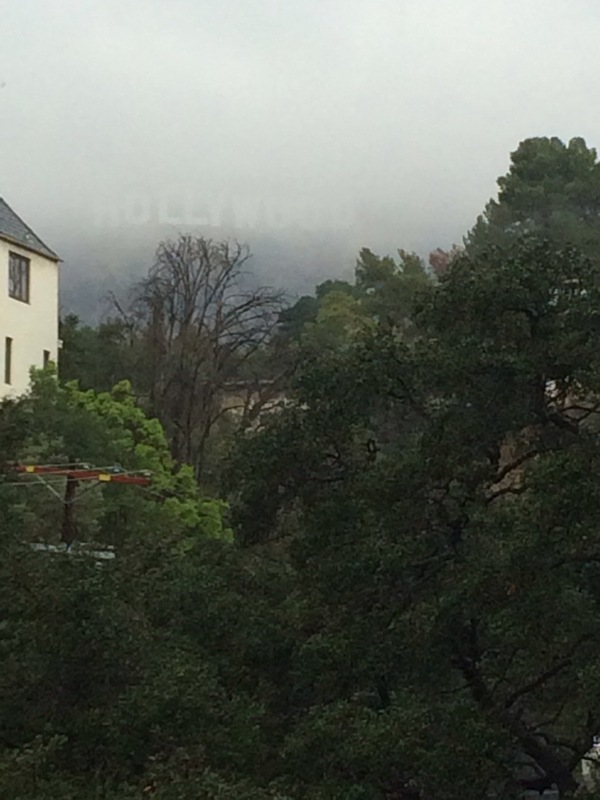 Yesterday morning at 11:30, the Sign was ghostly-looking through a scrim of mist. By 12:30, it had vanished into the rain clouds. 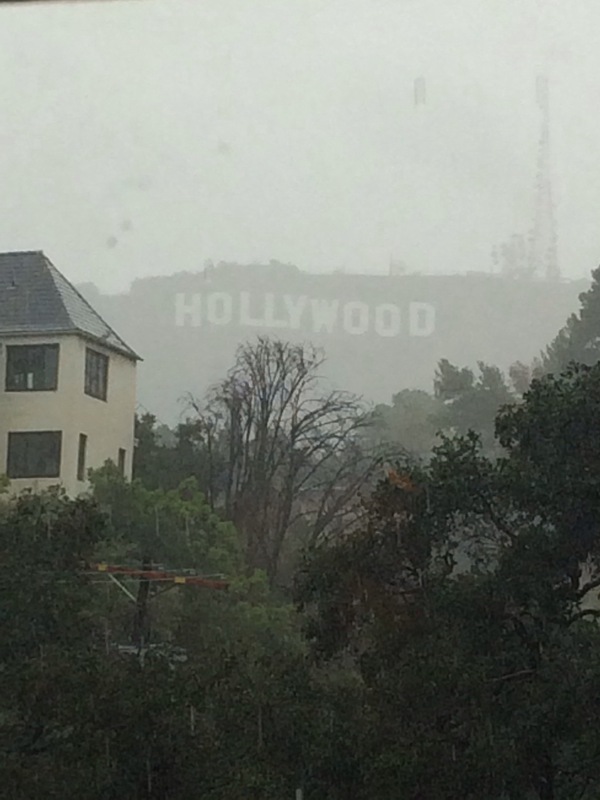 You are currently viewing the archives for December, 2014 at Under the Hollywood Sign.